For several years I have been a happy user of Postbox, an email client that had some advantages over Thunderbird, even though it was based on it. This email client will be sold by Postbox-inc.
Obviously Postbox-inc who sell the licenses for the Postbox Client now tries to invent the wheel twice and to sell their customers for stupid. A nice design alone does not make a good email client and a good email client either contains all necessary components or, in case of doubt, I have it extended accordingly. Postbox is built using Mozilla code, and as of Firefox Quantum, XUL-based add-ons are no longer supported by the Mozilla platform. 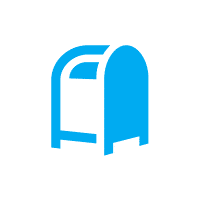 Consequently, future versions of Postbox will no longer support add-ons, starting with Postbox 6. Add-ons from Postbox, Inc. such as Cloud File Sharing, Signatures, and Responses have been added to the core Postbox 6 product. If you believe the statement, then Mozilla, who provide the Thunderbird client (for free), discontinued support for addons. I simply downloaded the daily (the last (V62.0a1) client to show that this is untruthful. As you can see, add-on are still supported. So of course I ask myself (apart from the design) what functions remain that justify the purchase of the software? So in summary, the only thing that remains is a crippled Thunderbird client with no significant advantage. What my personal opinion is after an extensive test of version 6 of Postbox. So the best advice I can give is, save your money and customize thunderbird by yourself.